Once again the men and women of NRDC-ITA have joined a campaign to support scientific research. Milan, 17 April 2019. 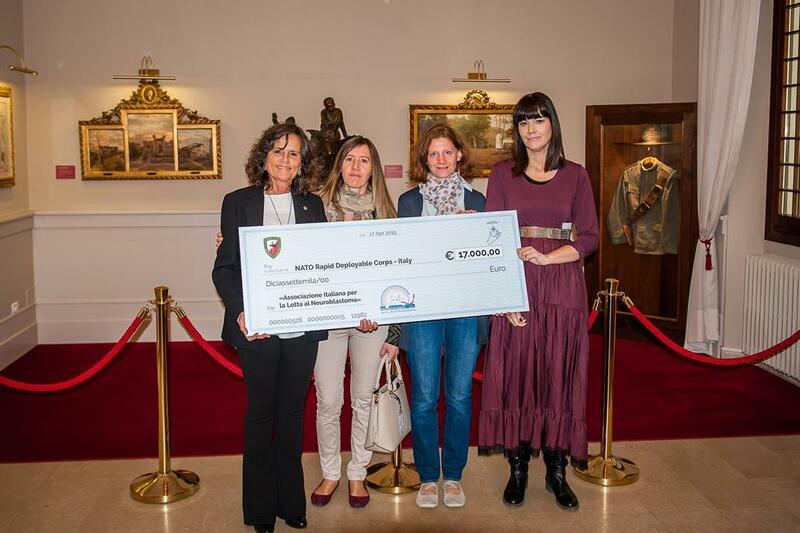 The NISIC (NRDC-ITA Spouses International Club) has delivered the proceeds of fundraising to the Italian Association for the fight against Neuroblastoma. 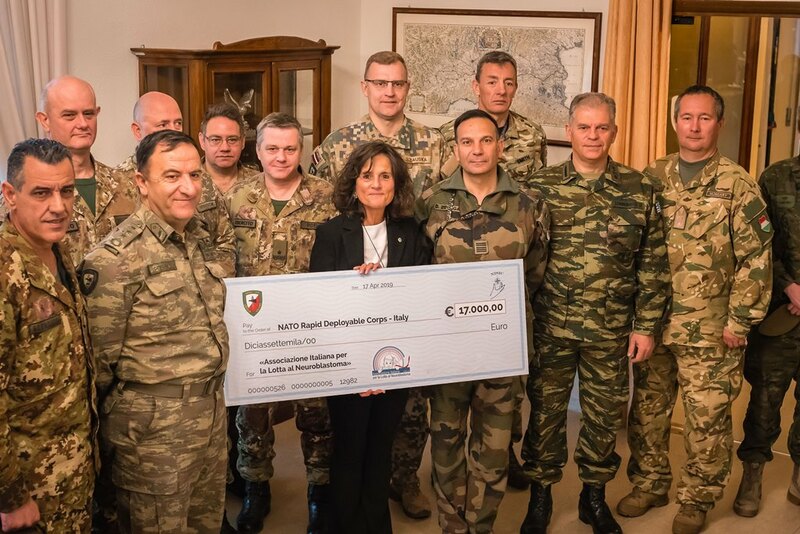 In conjunction with this donation, the soldiers of the Milan based NATO HQ and supporting units have taken part in the campaign called “Cerco un uovo amico”, a charitable activity that supports scientific research in the fight against neuroblastoma. During the event, Dr. Sara Costa, President of the Association, received a check for € 17,000 from the NRDC-ITA representatives. Today's display of solidarity offers the Association important support in their effort to continue funding the vital research projects aimed at defeating this serious condition. The identification of effective drugs, the centralization of research data and the increasingly rapid and correct diagnoses are all fundamental aspects of the work done by this worthwhile charity. 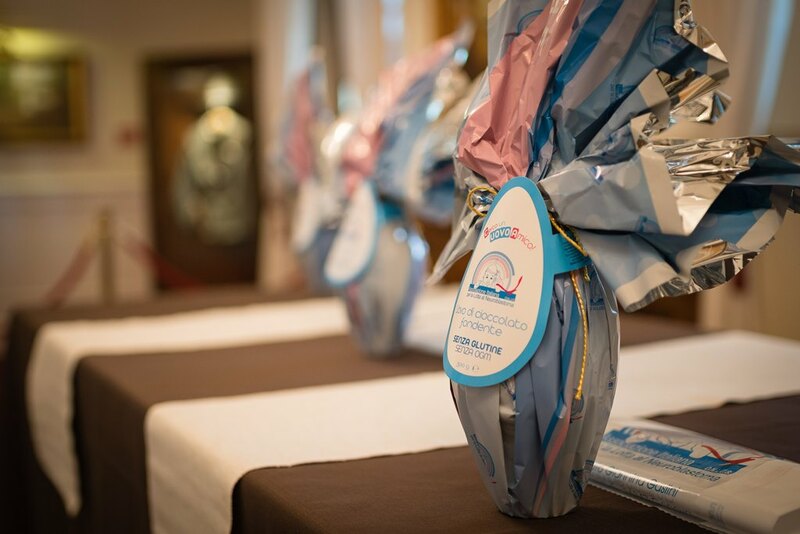 Alongside the efforts from those at the Gaslini pediatric Hospital of Genova, the aim is to offer personalised medical plans and the required therapy more quickly, to improve the lives of the children suffering from this condition. This fundraising underlines, once again, the commitment with which the men and women of NRDC-ITA show in support of those in the community less fortunate than themselves.